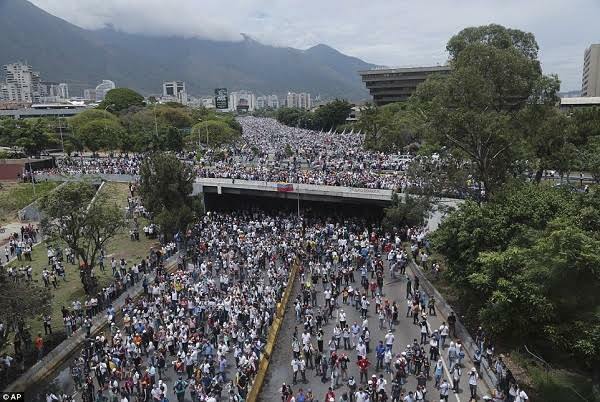 On Wednesday, dozens of people took over the streets of Venezuelan capital in Caracas calling for the government of President Nicholas Maduro to hold elections and improve the country’s collapsing economy. 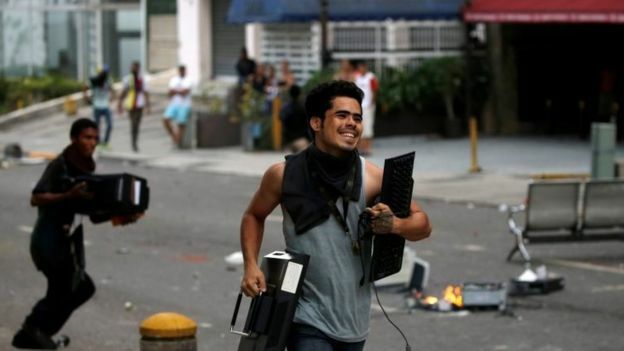 Unfortunately, the mega protests turned bloody when angry gangs threw Molotov cocktail, bottles and rocks at riot police, who responded by firing white tear gas. 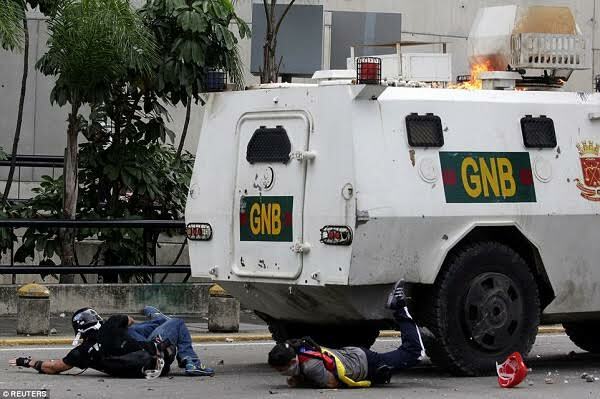 In the process, one person was killed and over 300 people got injured as a flaming police riot van ran over many. 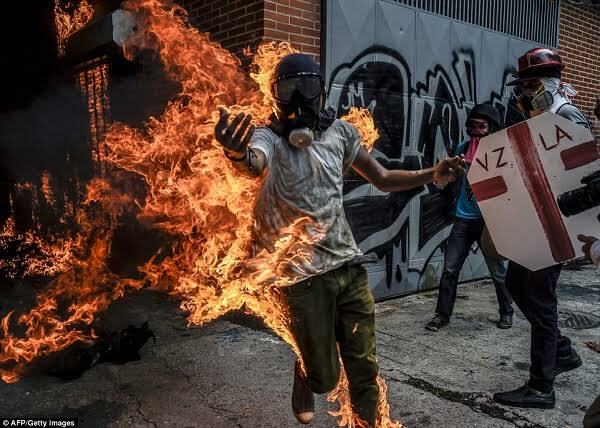 Terrifying images show a man completely helpless when he caught up in an explosion after a bike burst into flames. 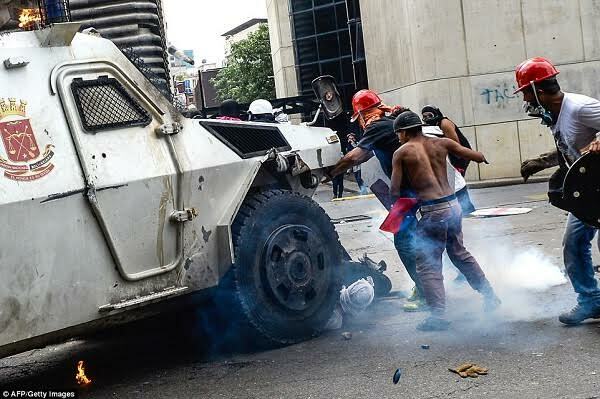 While another photo shows a young girl being rescued after she was run over by the police rioting van. 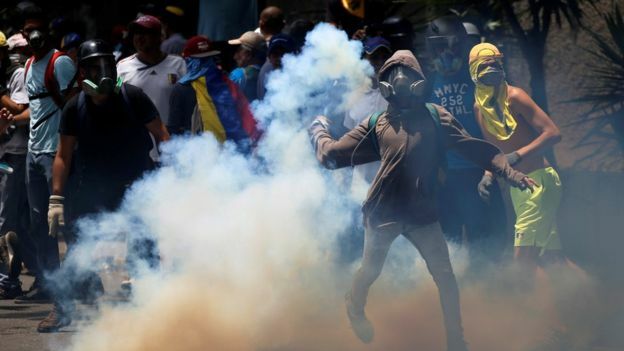 Although, the protests against the embattled president began in early April with many already killed following the ongoing demonstration in the country. 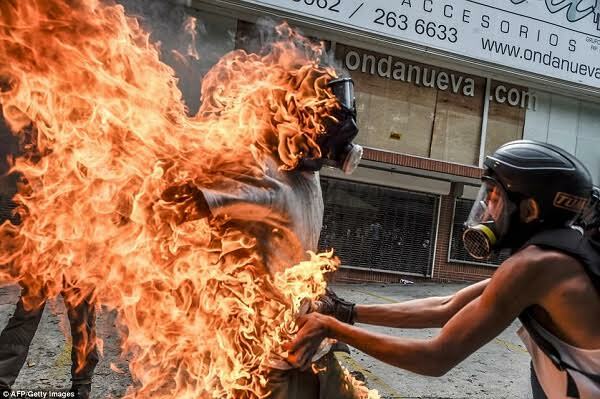 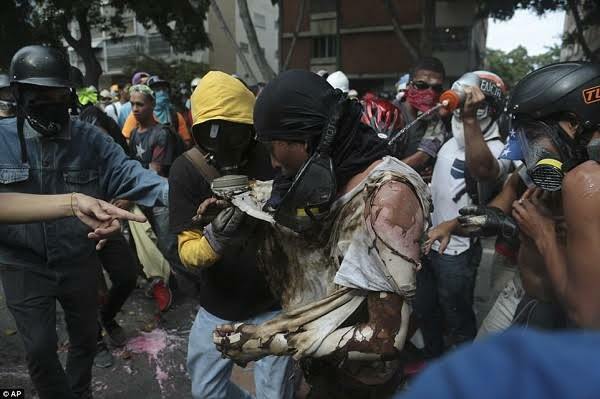 Opposition protesters have clashed with riot police in chaotic scenes in cities across Venezuela. 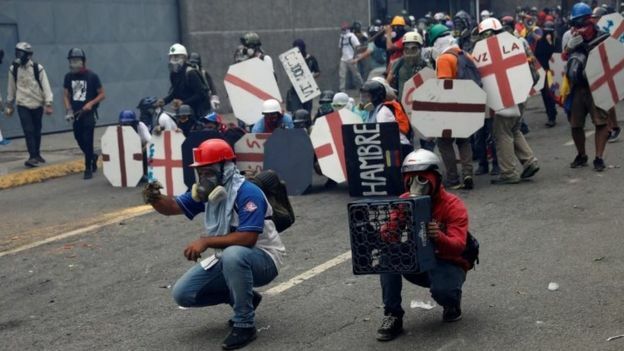 A rally in Caracas began peacefully before masked youths hurled rocks and fire bombs as they took part in a march of thousands towards parliament. 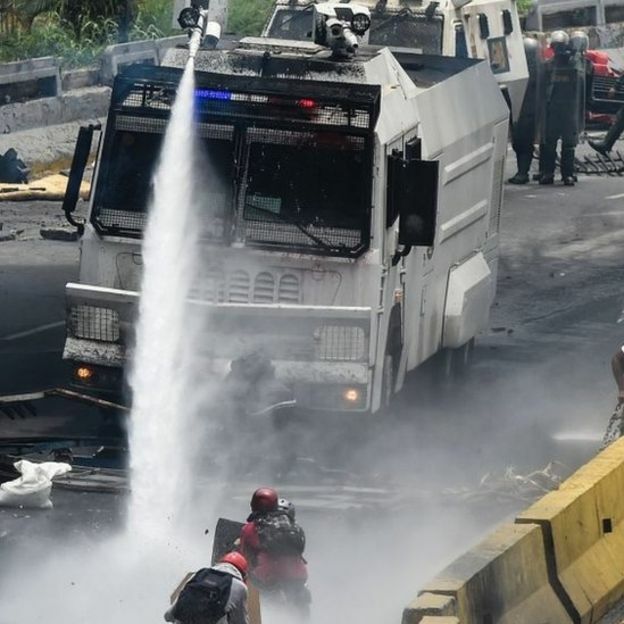 A teenager protester died, as police used rubber bullets and water cannons. 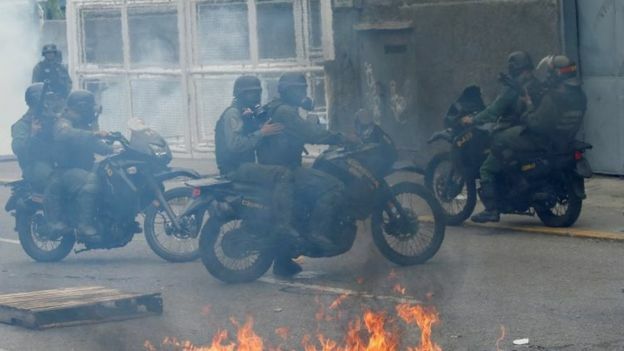 The government has warned demonstrators – who have been protesting for a month – that their right to cause street disruption is not absolute. 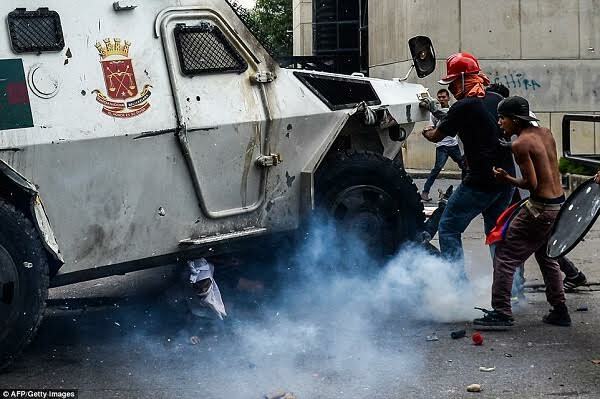 Justice and Interior Minister Nestor Reverol warned that blocking the highways carried an eight-year sentence. 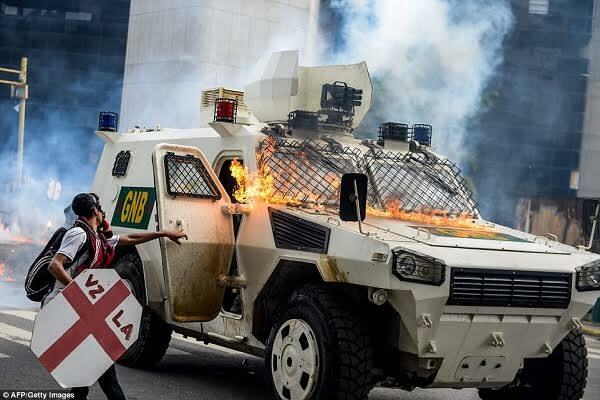 The demonstrators are especially angry over President Nicolas Maduro’s recent decree that creates a 500-member constituent body to rewrite the constitution, a step that would bypass the opposition-controlled National Assembly. 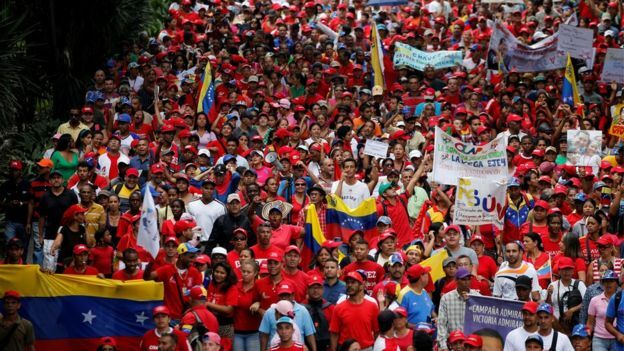 Speaking at the National Electoral Council, Mr Maduro said there would be elections for the new citizens’ assembly in a few weeks. 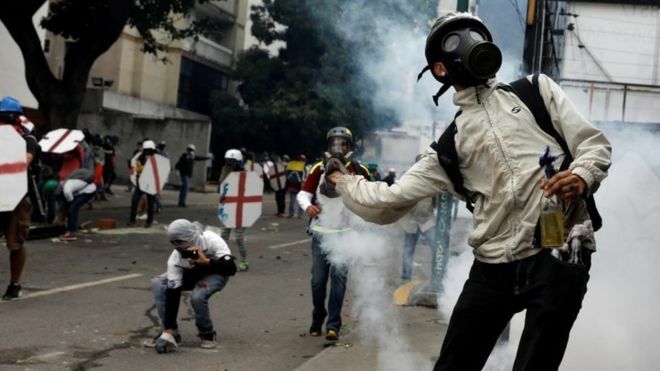 More than 30 people have been killed and hundreds either injured or arrested since protesters took to the streets in early April. 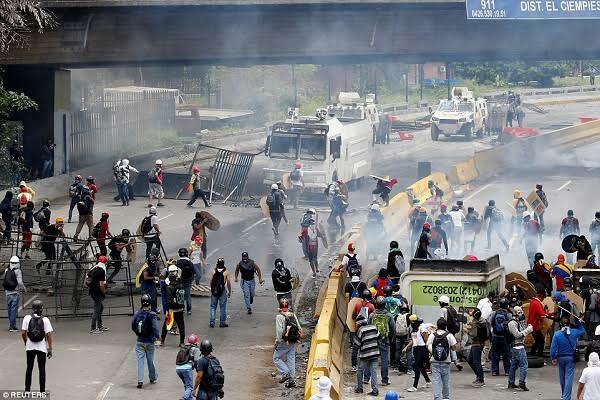 Demonstrators on Wednesday – many wearing bandanas and carrying catapults – confronted the security forces on the Francisco Fajardo highway, which runs through the heart of Caracas. 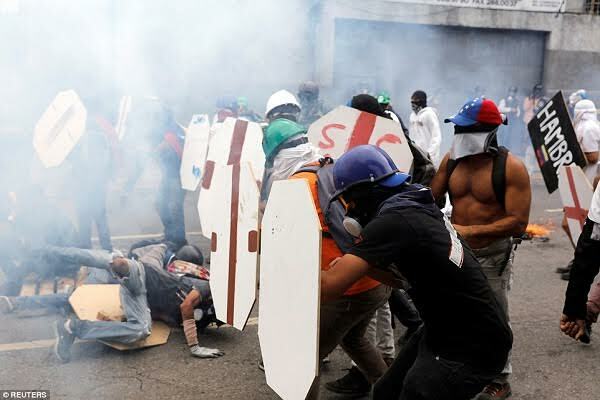 “They [the security forces] are mobilised as if this was a war,” opposition leader Henrique Capriles said. 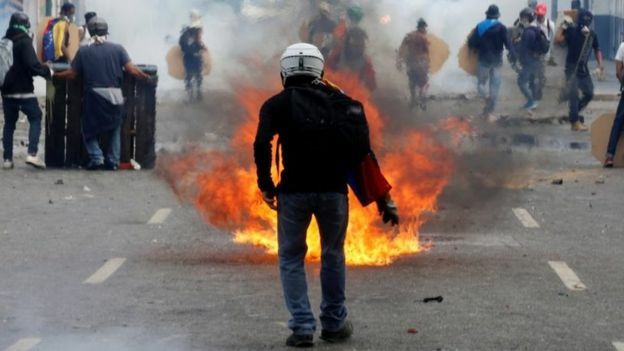 Mr Maduro succeeded Hugo Chavez, a popular leader, who had introduced wide-ranging social welfare programmes and died in 2013.